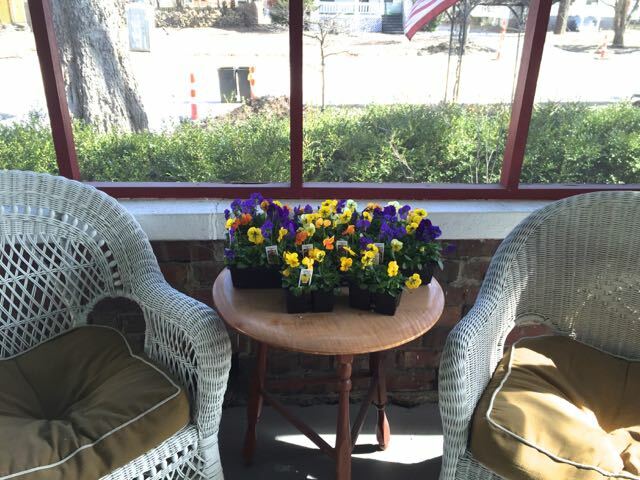 Pansies planted on March 1! Doogie and I went to get a flat! Mixed colors because that's how they come. Mixed colors are a good choice! That flank our regular elegant entrance to our basement! 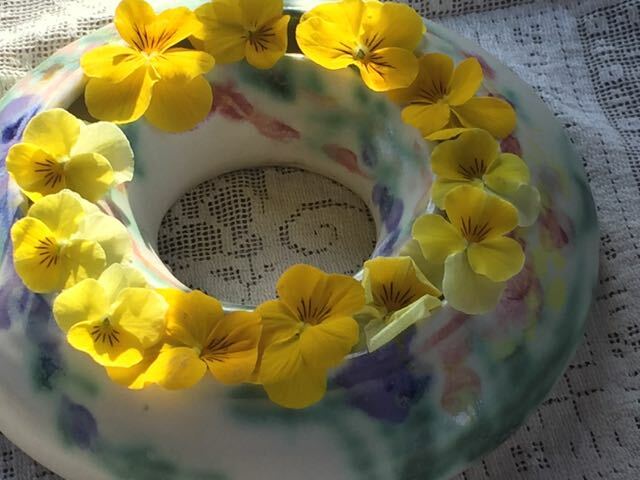 The very first garden flowers brought inside for the breakfast room table for 2016! Which makes a lovely centerpiece for an after planting tea this afternoon. 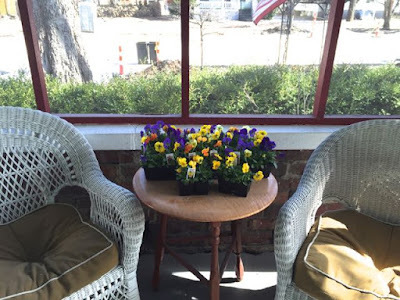 Pansies -- the flowers that smile at you! 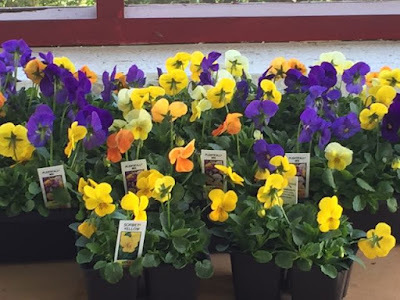 Disclaimer -- these are really violas -- small pansy type flowers. I prefer them to their larger cousins. I think they're heartier! and the cookies . . .
At least 1 day before baking the cookies, make the dough.Sift the flour, baking powder and salt together into a medium bowl. Beat the butter and sugar together in a large bowl with an electric mixer on high speed until light and fluffy, about 3 minutes. One at a time, beat in the eggs. With the mixer on low speed, in three additions beat in the ricotta, then the lemon zest and juice. Gradually add the flour mixture and mix just until incorporated. Do not over mix the dough. It will be very soft. Cover the dough with plastic wrap and place in the refrigerator for at least 4 hours or up to 2 days. Looking lovely so spring must be on the way! 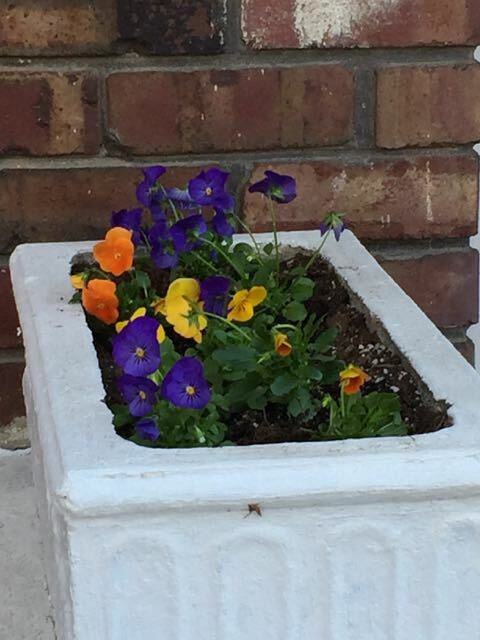 Pansies are everywhere here too, though they were planted in December and January. 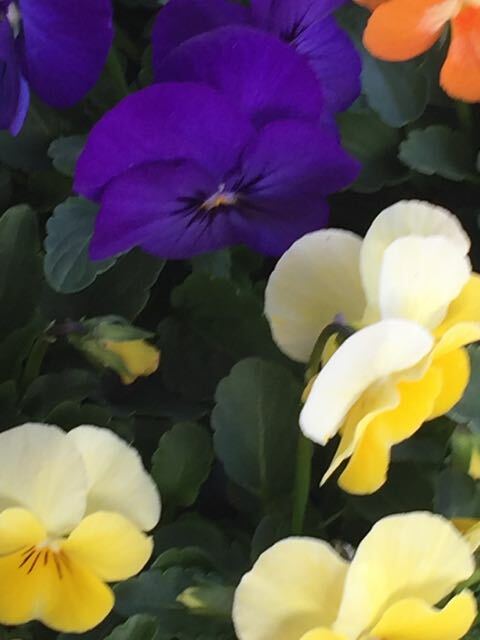 Like you, I prefer violas because I find that they stand up to the rain better than their larger cousins. 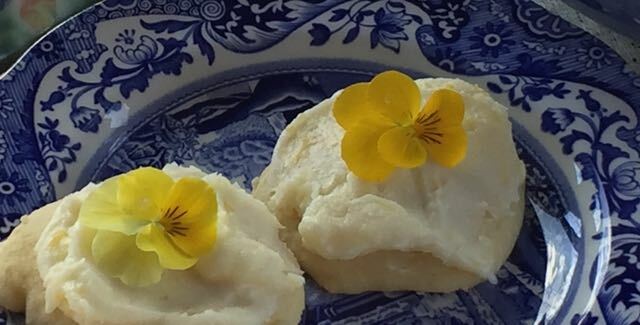 Martha, I loved seeing your pansies and the lemon ricotta cookies! 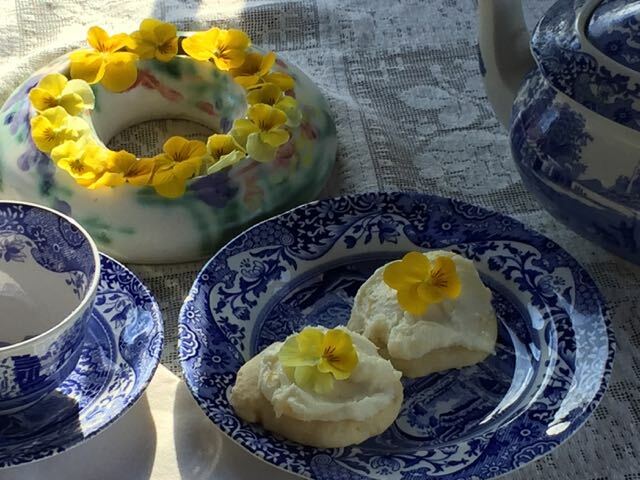 The cookies look beautiful with the pansies! 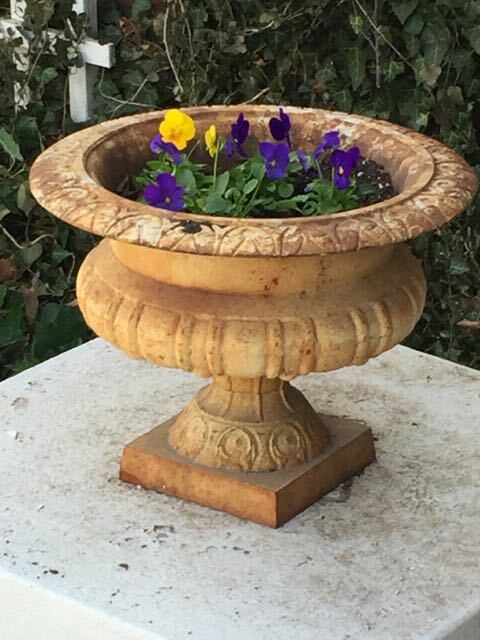 I planted pansies in pots a couple of weeks ago and it is surprising how cheerful they make everything look. Hurry, spring! Martha, you've got a handle on spring already, which I dream I might if I had those wonderful brick planters to decorate. Gosh, those are really nice! 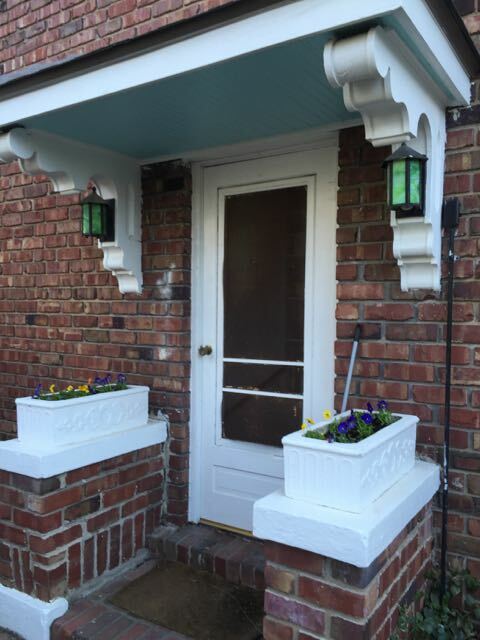 The color looks so good in your planters. 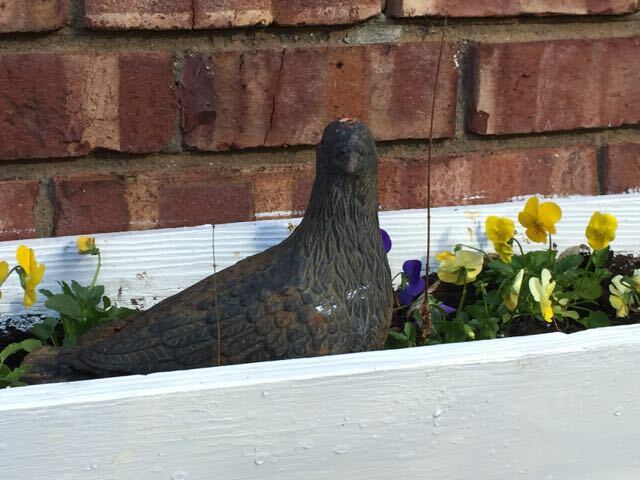 No pansies available here yet. Hopefully, soon! I just purchased pansies myself, Martha. I am trying to bring back the violas from last year and I see a few buds, but we'll see. They're definitely hardier, since one lasted all the way until December. I so wish I could have been at your Julia Child inspired dinner. I love her recipes, but shame on me... I've never made one. I've only eaten her food made by others. I really need to do it, but for some weird reason, I feel intimidated. Silly, huh?